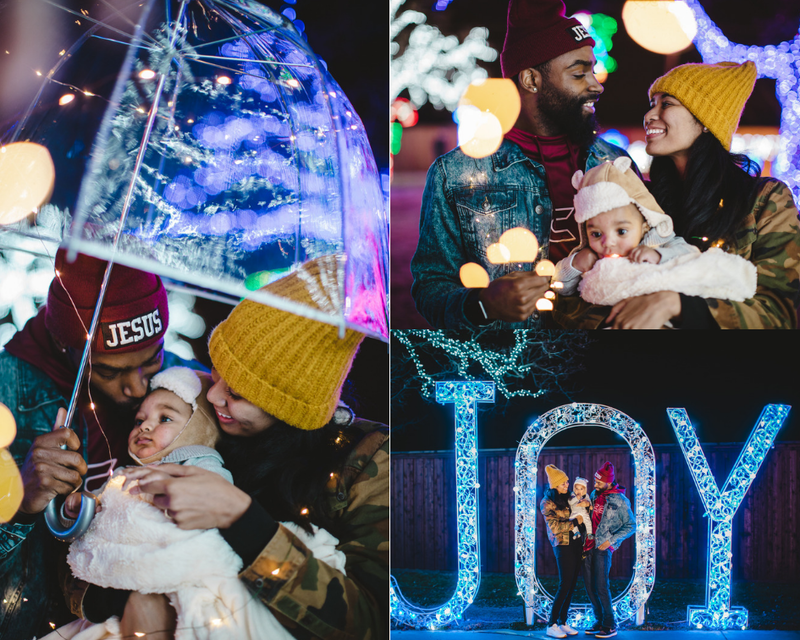 This past weekend, the Rush family attended Daystar's annual 2018 Holiday Lights Display. We were greeted with such warm welcomes from every elf on sight. 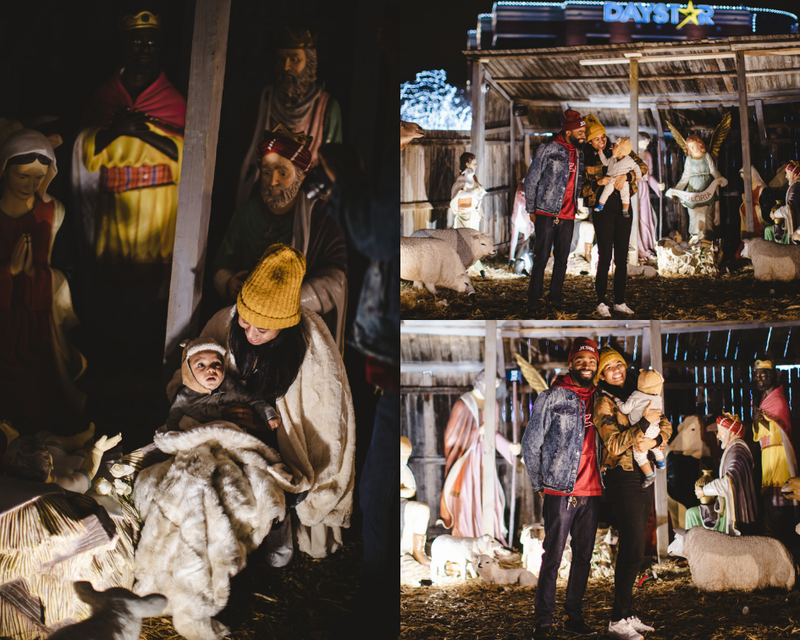 We boarded Santa’s sleigh & was taken to their life-size nativity scene where we listened to the birth story of Jesus, the real reason we celebrate this holiday season. 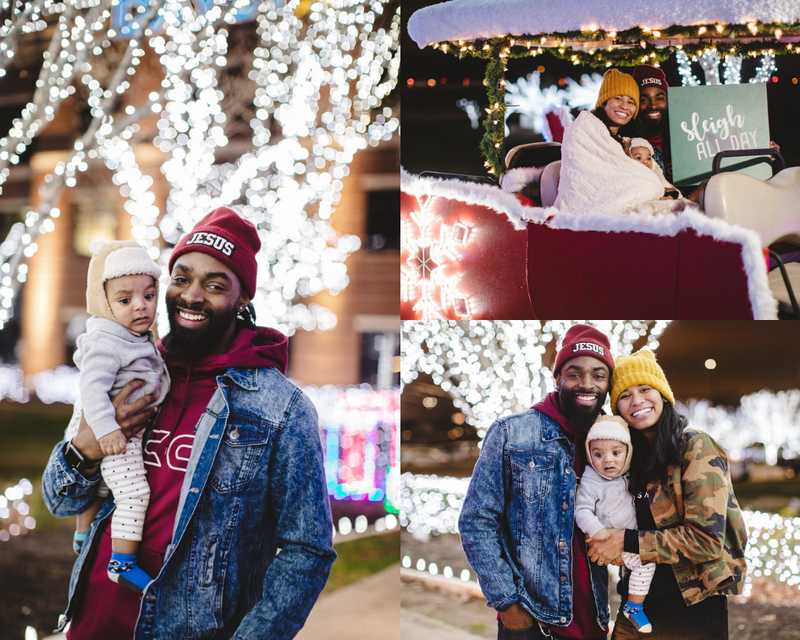 We got to experience a kid-friendly Christmas Town displayed with so many colorful LED lights that lit up not just the trees, but also our hearts. 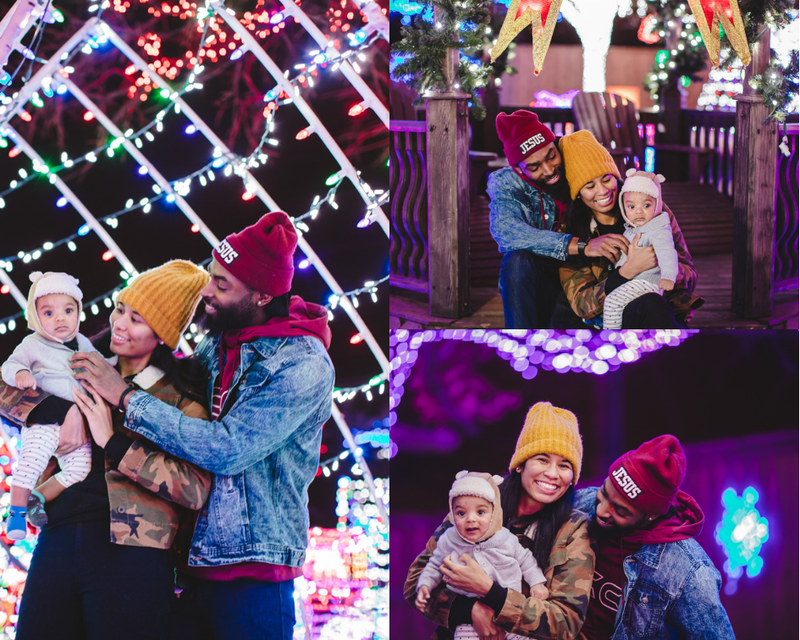 Daystar Christmas did a phenomenal job making this free experience, an unforgettable one where so many great memories were made with my family this Christmas season. Also what I really loved about this experience was the cafe that served hot beverages and cookies for sale while kids and parents enjoyed walking through everything. 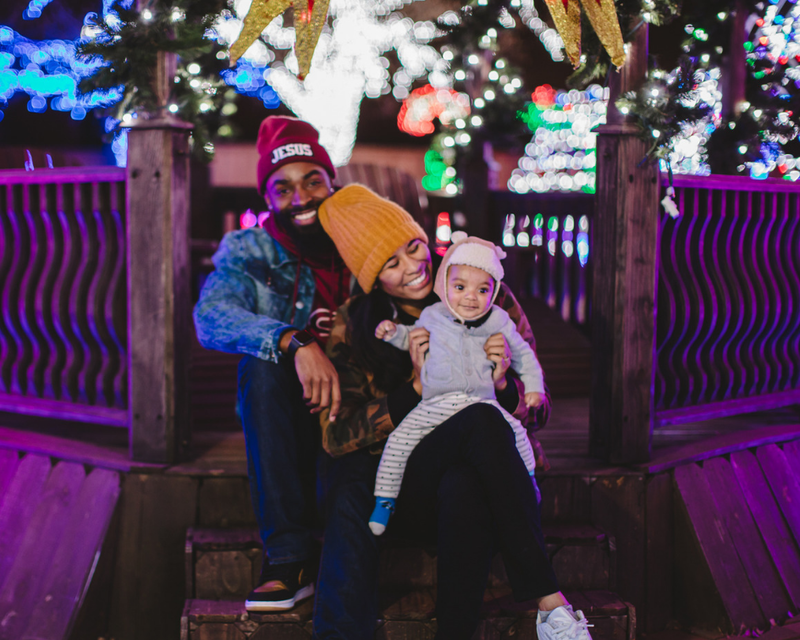 As well as those who waited to take a free professional picture with Santa. I am so excited to attend next year’s event when our son is a bit older to really run around and enjoy! Another stop for some more family photos. My favorite sign with my family!